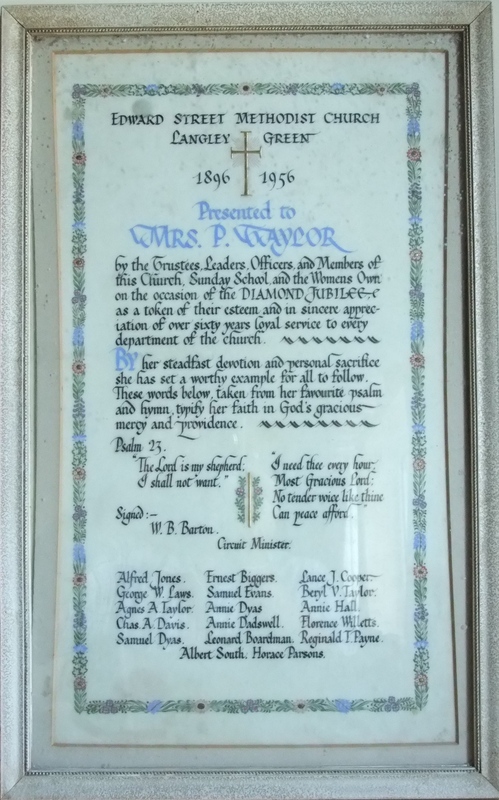 We do not know the name she had as a girl, but Mrs P Taylor was involved in the society at Edward Street before the new Chapel was built in 1896. 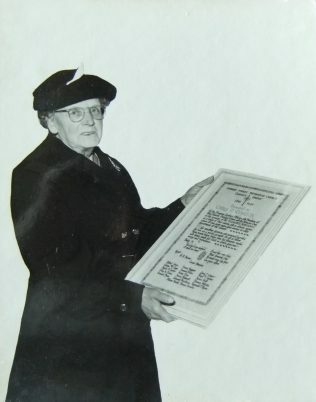 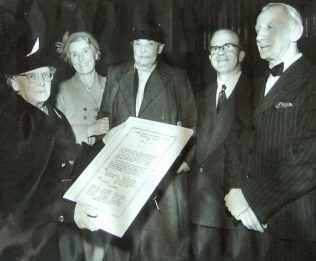 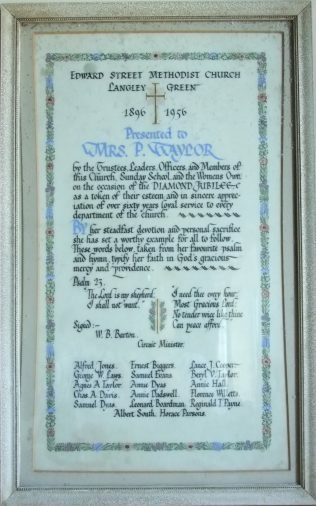 In 1956, on the occasion of the Diamond Jubilee of the church, she was presented with a special illuminated address by the ‘Trustees, Leaders, Officers and Members of this Church, Sunday School and the Women’s Own’. Alfred Jones, George W Laws, Agnes A Taylor, Charles A Davis, Samuel Dyas, Ernest Biggers, Samuel Evans, Annie Dyas, Annie Dadswell, Leonard Boardman, Albert South, Horace Parsons, Lance J Cooper, Beryl V Taylor, Annie Hall, Florence Willetts, Reginald T Payne.